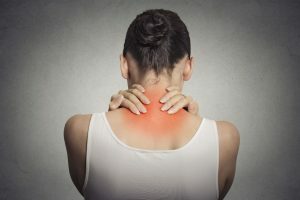 Though a specific cause has not yet been identified, potential triggers for fibromyalgia include allergies to foods or chemicals, hormonal imbalances, poor digestion, stress, and neurotransmitter deficiency. The cure to fibromyalgia is best found through strategic lifestyle and dietary changes. Other complementary forms of medicine like acupuncture, chelation therapy, and homeopathy can also help to minimize symptoms and improve your overall quality of life. Eating the right food is a powerful way to reduce fibromyalgia symptoms and help the body heal from fibromyalgia. Green vegetables, clean lean protein, fermented foods, omega-3 fatty acids, and antioxidants serve many essential purposes like reducing inflammation, fighting disease, providing important minerals, and maintaining energy. Based on the results of your blood panel, you should also schedule an appointment with your doctor to determine the best course of treatment for any diagnosis you receive. A reduction in your fibromyalgia symptoms could be right around the corner.